Last Sunday I activated Mount McDonald VK1/AC-048 789 metres ASL situated close to the eastern flank of the Brindabella Ranges. Today I’m activating Mt Coree a prominent granite mountain in the Brindabella Ranges rising 800 meters above Canberra. The rocky granite summit is void of trees, it’s an ideal launch-pad for transmission and reception of Dx VHF and UHF radio signals. Aircraft Enhancement is possible by taking advantage of commercial aircraft flying along the Melbourne – Sydney or Melbourne – Canberra routes. 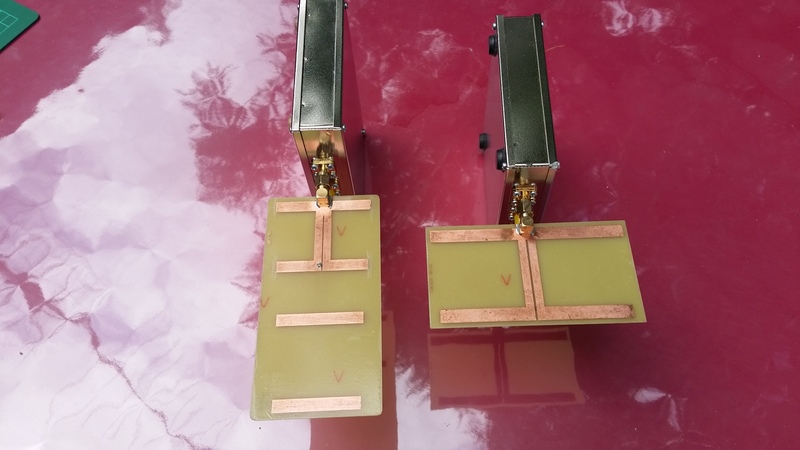 Large aircraft flying at 10 to 12 km (32,000 to 40,000 feet) above the ground offer a good reflective surface to enhance the range of amateur radio single-sideband (SSB) and Morse code (CW) mode transmissions in the 2m and 70cm bands. 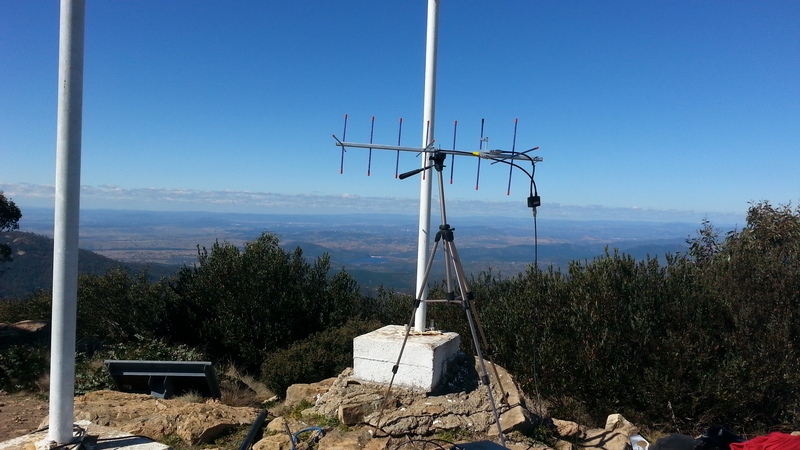 Possible summit to summit contact: Paul VK1ATP has plans to activate Mt Pinnibar VK3/VE-009 at 1772 metres ASL on 40m LSB and 70cm 432.100 MHz USB. The direct radio signal path from Mt Coree to Mt Pinnibar is over 150 km and includes two 1500 metre peaks near Cabramurra which may attenuate our respective radio signals. I will be very happy if Paul and I can make at 4-1 report each way. 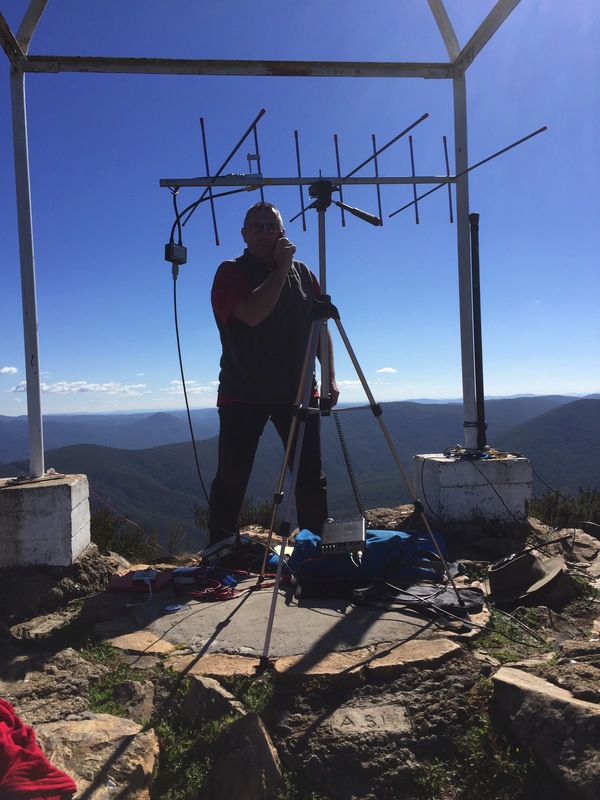 Final calls on 2m – VK1AD at Mt Coree working Andrew VK2UH in Yass on 144.2 MHz USB. See my previous post for a picture of Andrew’s backyard 2 metre dipole. 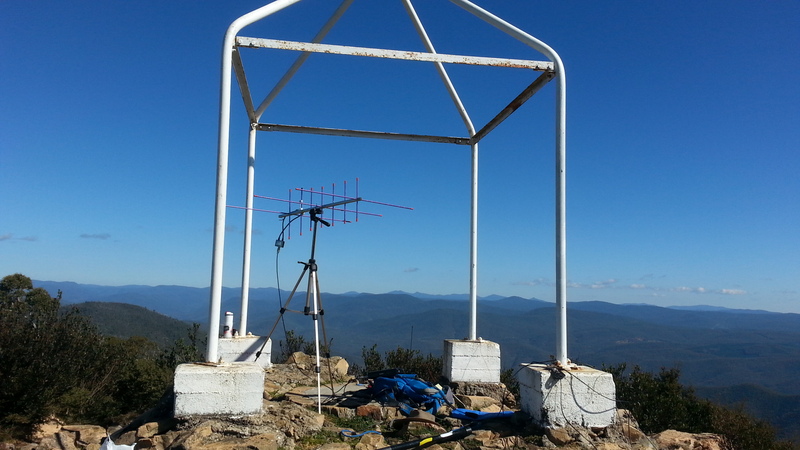 Mt Coree’s elevation offers line-of-sight communications east to Canberra. Prior to the activation I circulated an email to the VK1 SOTA enthusiasts with a heads up on my proposed timings. 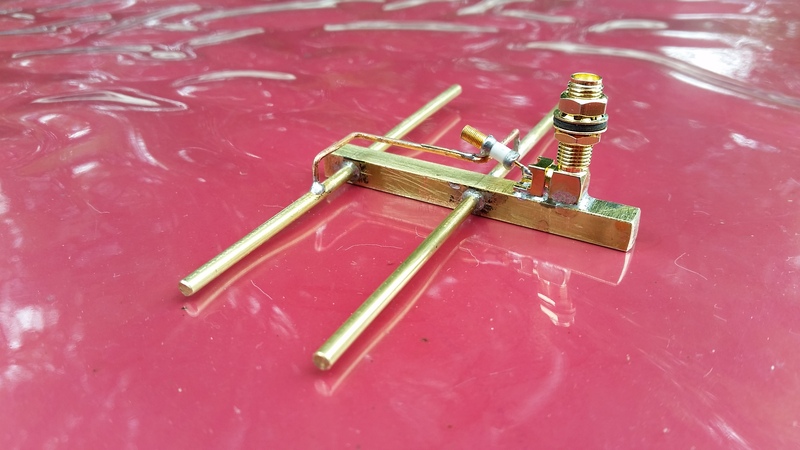 I hope to find regular SOTA chasers in their shacks, keen to score 4 points on 432 MHz. BTW in VK2 and VK3 a 1400 metre summit is scored at 8 points. 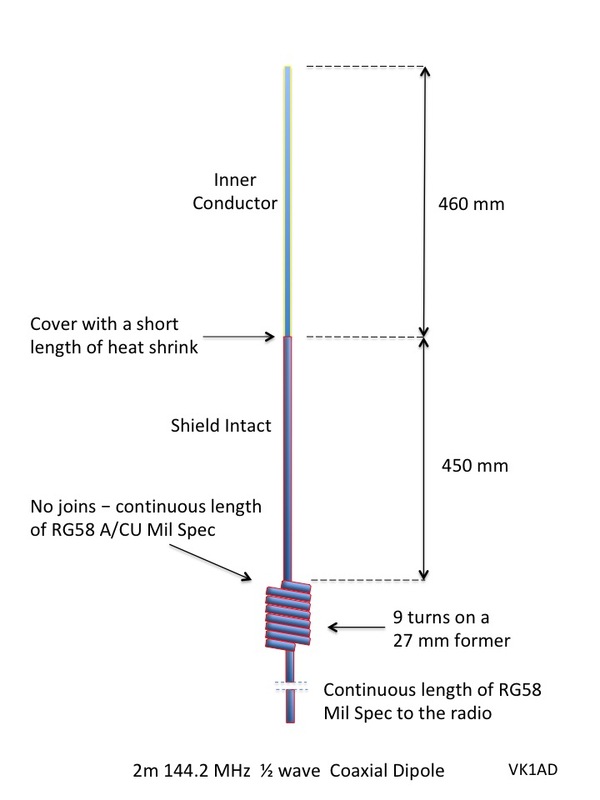 Weak signal 70cm Summit to Summit (S2S) contact. As planned, I made the contact with Paul VK1ATP/3 at Mt Pinnibar over 154 km, Paul was operating at FT-817 at 5 watts output. Signal reports were 5-1 each way, but towards the end of our QSO Paul’s signal lifted to 5-7 aided by aircraft enhancement from an aircraft en route from Melbourne to Canberra airport. On 40m 7.090 MHz, 30 chasers. With my HF antenna and HF radio equipment positioned on the west side of the Trig center plate, I am operating within the Brindabella National Park VKFF-0054. SOTA/VKFF to a VKFF Park contact included Tony VK3VTH operating from VKFF-0745 Cape Liptrap Coastal Park, south Gippsland. Your blog posts are so well detailed, you leave nothing undescribed Andrew. 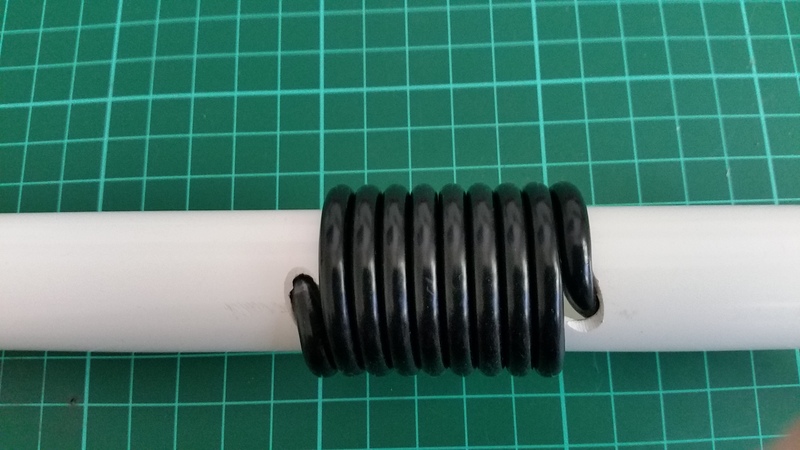 An exemplar for other SOTA bloggers! 73 Paul vk3hn. Thanks Paul your feedback is welcome. I am a little behind in my blog reading. I have a few blogs and posts to read, incluging your recent post on Bullfight. 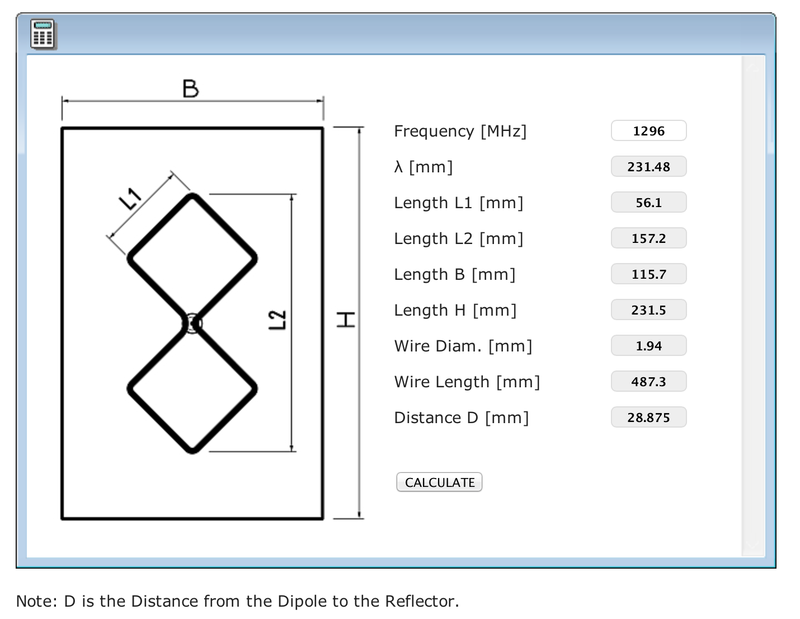 Very interesting to read about the AE and the use on both 70 and 2M. Is there much use of digital on these bands? I saw today a JT65 beta for Android and I’m considering how (if) I can incorporate that into my portable work. Chris, I checked VKLOGGER for digital modes, there appears to be a small group of operators using aircraft enhancement between VK3 and VK4 for FSK and JT.